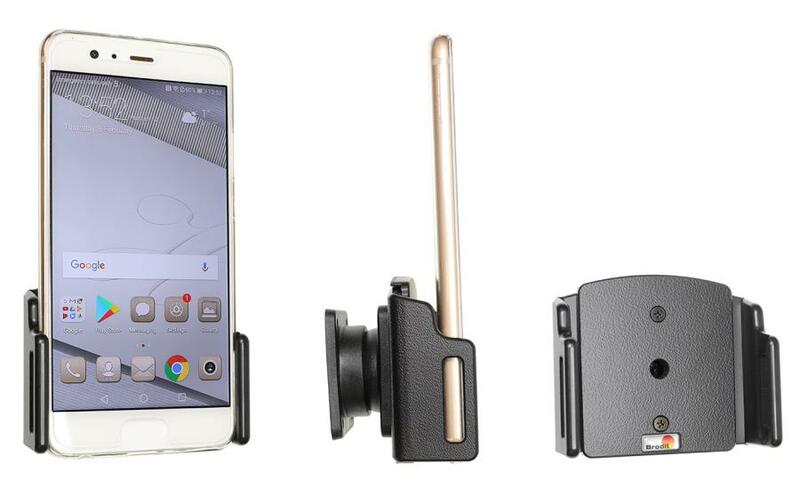 The Brodit adjustable holder is for when your device has a protective case, and will not fit in the dedicated Brodit holder for your handset. Choose an adjustable holder to fit the size of your device within its case by measuring the width and thickness and then select one that fits from the products below. The Brodit adjustable holder is easily adjusted using a screwdriver. By loosening the outer screws on the holder the sides will be able to move outwards. As soon as they reach the correct width simply tighten the screws, and the holder will remain a firm fit for your device. Brodit adjustable holders are also designed to fit a device where on the occasion a device specific holder has not been manufactured. The adjustable holders are available in Passive (non charging), Active with a Micro USB charger or Active with USB Type C in the centre at the bottom of the holder. The Micro USB plug is also removable, allowing it to be rotated 180° to cover more devices. If you need any help in choosing your Brodit adjustable holder please contact us. Passive holder with tilt swivel. Adjustable holder, width 180-210mm, height 115-138mm. Two keys included. Adjustable holder. Fits devices with skin that has the following dimensions: Width: 70-83 mm, Thickness: 2-10 mm.